Wholesale Star Wars Costumes, Not Just For Boys! 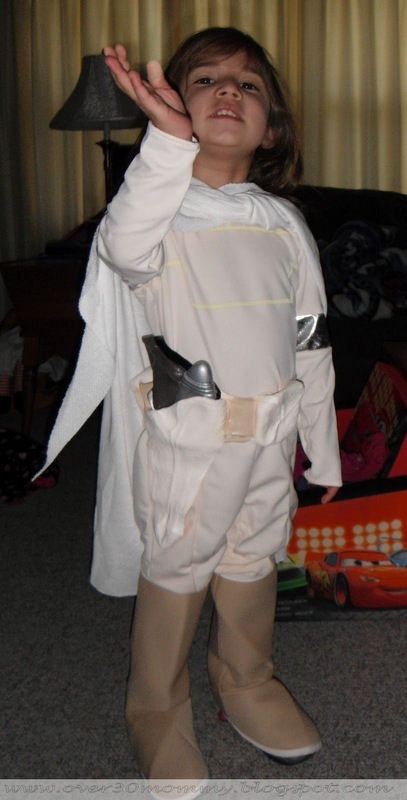 According to my little girl, Star Wars costumes are not just for boys! Of the 9 kids that my three siblings and I have, she is one of only 2 girls and the only other girl (on my side) is 17. She tries hard to keep up with “her boys”, she plays cars, “shoot em ups”, Lego’s and anything else that they are into. So it was no surprise to me when she wanted a Star Wars Costume. When she was determined to get a Star Wars Costume, I knew our selection of female characters was limited but I liked the options for the strong female role of Padme’ Amidala. She goes from being a princess to a senator, to a warrior fighting along side the male characters. 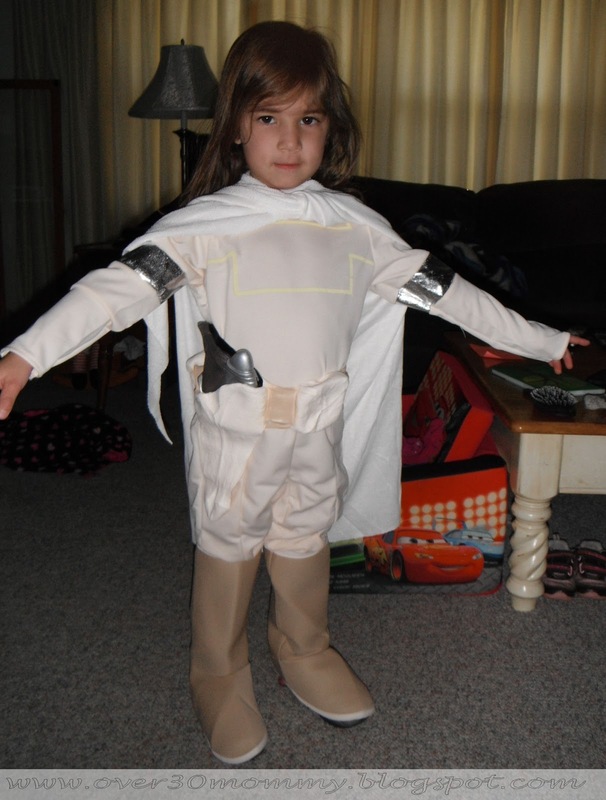 The Deluxe Child Padme Amidala Costume at Wholesale Star Wars Costume was the perfect choice for my little girl and will easily fit in with her cousins and their favorite Star Wars characters. The Amidala costume includes a jumpsuit, boot tops, shawl and belt. My little Amidala was flying around the house for hours. OK, so Padme couldn’t fly but my daughter insisted that the shawl was actually a cape that would allow her to fly. Kind of hard to argue with that logic. 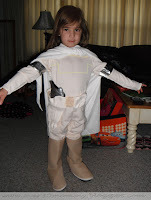 We found the Deluxe Padme Amidala costume to be of good quality, we ordered the smallest size knowing that it will be a little big for her but she loves dressing up year round so it will fit for some time. The boot tops actually stayed one and in place unlike others that we have had before. I will be replacing the belt that came with it with one that has real pockets for her to pack her blaster and other things in but the one that came with it was nice and she had no complaints about it. The cape shawl (you saw potAto, I saw potato) is light weight and durable, it stood up to hours of flying and fighting off monsters and aliens. Overall, we were both very please with the costume and it will be joining her ever growing costume/dress up collection. This entry was posted in Little Fashionista, Reviews by Carrie. Bookmark the permalink. This is adorable! Breaking the gender barrier! My nieces are 5 & 2 – I think t is time to introduce them to the awesomeness of Star Wars!